The Old Testament contains tantalizing references to a prophet called Nathan. 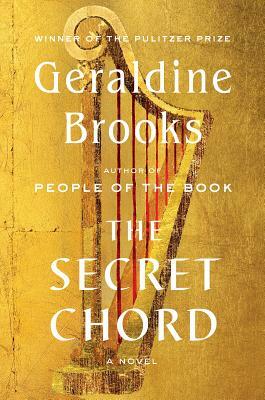 Geraldine Brooks brings this mysterious figure to life as the confidante to and narrator of King David’s life. From David’s beginning as an unknown, fearless rebel fighter through his rise to ruling the kingdom of Israel, the people, places and politics of ancient times are brought to life. David is a complex, compelling character who jumps off the page, and Nathan is his conscience and conduit to their God. Brooks once again proves herself a master of meticulously researched and vividly imagined historical fiction. Geraldine Brooks is the author of four novels, the Pulitzer Prize–winning March and the international bestsellers Caleb’s Crossing, People of the Book, and Year of Wonders. She has also written the acclaimed nonfiction works Nine Parts of Desire and Foreign Correspondence. Her most recent novel, Caleb’s Crossing, was the winner of the New England Book Award for Fiction and the Christianity Today Book Award, and was a finalist for the Langum Prize in American Historical Fiction. Born and raised in Australia, she lives on Martha’s Vineyard with her husband, the author Tony Horwitz.